Spirits that live up to the family name. Keeping to a deep Williams family tradition, our Carolina Whiskey is made from the finest locally grown grains. It is hand-crafted in small batches from our pre-prohibition recipe. 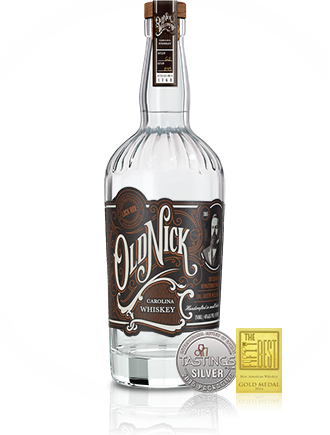 Old Nick’s Carolina Whiskey offers a subtle, but complex and well balanced taste with that old fashioned flare! Old Nick Carolina Bourbon now available! Ask for it at your local NC ABC store! We’ve taken the wonderful flavors and aromas of the Carolina Whiskey up a notch by barrel aging it for approximately 18 months. Our Carolina Bourbon is a complex wheated Bourbon with notes of caramel, butterscotch, and toasted oak. Bottled at 92 proof, this bourbon finishes off smooth and warm to please a variety of palates. 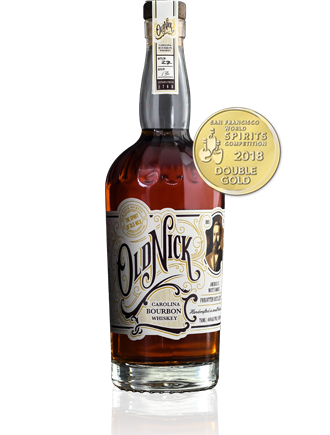 Our bourbon won a double gold at the San Francisco World Spirit Competition.